Dear God, grant us the grace to live in daily obedience & increase in faith & in the understanding of Your Word. Anyone who chooses to do what God wants him to do will find out whether My teaching comes from God or from Me. For the Lord is always good. He is always loving and kind, and His faithfulness goes on and on to each succeeding generation. Jesus answered him, I tell you, not up to seven times, but seventy times seven! Let God shape, soften, & mould your heart into acceptance. …Naked (without possessions) came I [into this world] from my mother’s womb, and naked (without possessions) shall I depart. 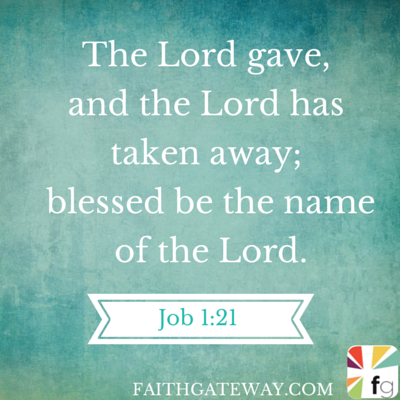 The Lord gave and the Lord has taken away; blessed (praised and magnified in worship) be the name of the Lord! But when Jesus heard it, He replied, Those who are strong and well (healthy) have no need of a physician, but those who are weak and sick. Go and learn what this means: I desire mercy [that is, readiness to help those in trouble] and not sacrifice and sacrificial victims. For I came not to call and invite [to repentance] the righteous (those who are upright and in right standing with God), but sinners (the erring ones and all those not free from sin). Are you fully understood & unconditionally loved? Through the gift of the Holy Spirit within you… yes you can be!